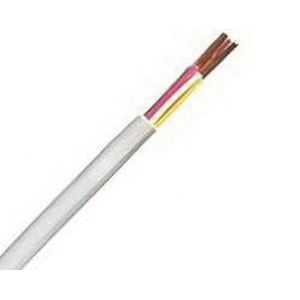 Omni Cable 18/4 Bare copper thermostat wire has white PVC jacket to withstand harsh environmental conditions. The PVC insulation resists electrical leakage and offers protection against environmental threats. Cable is UL listed.